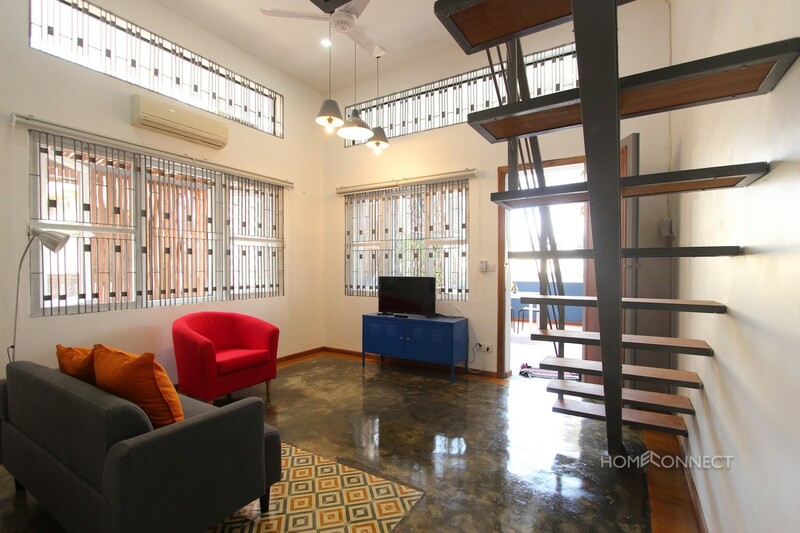 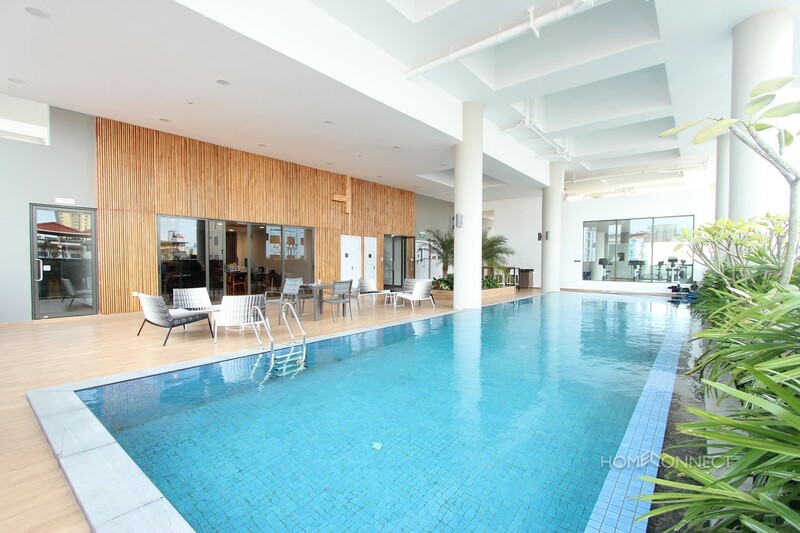 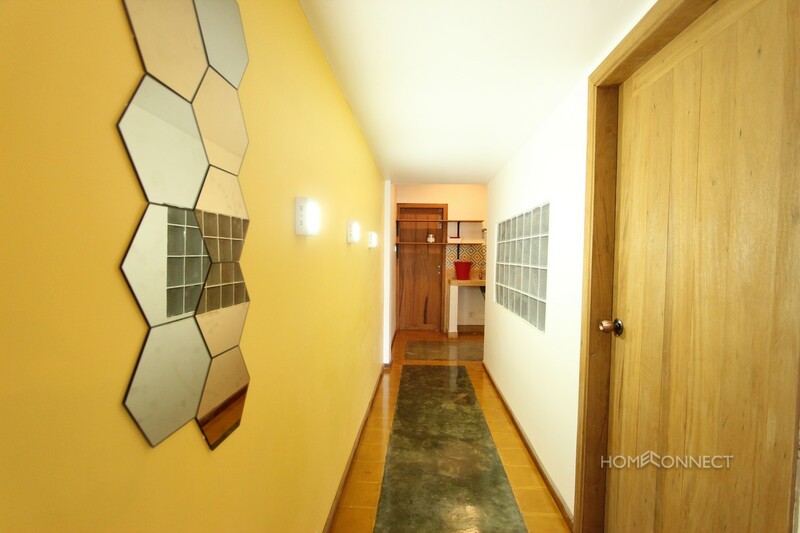 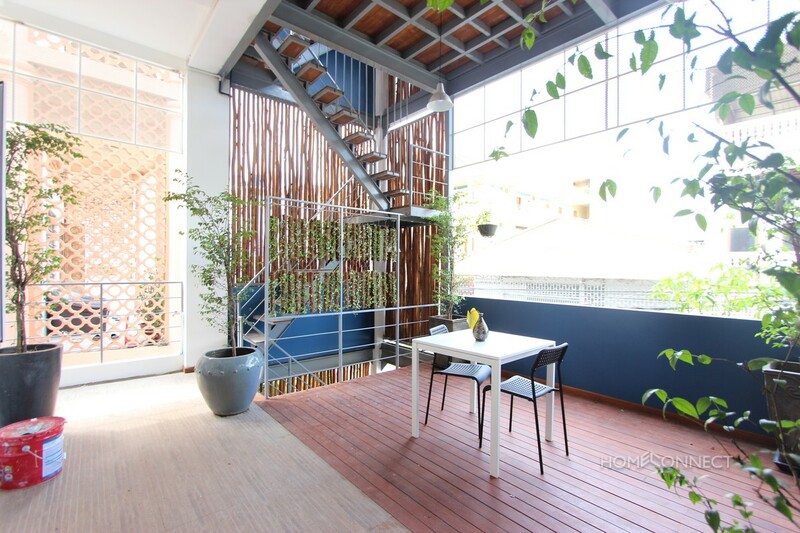 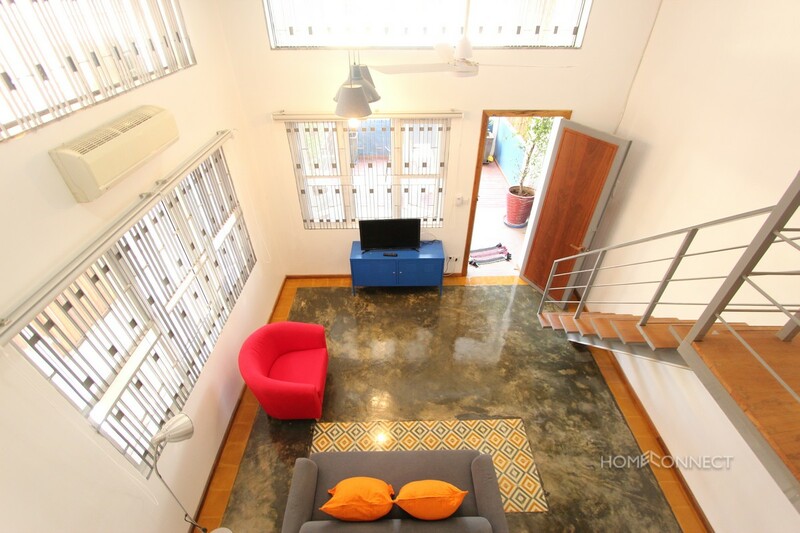 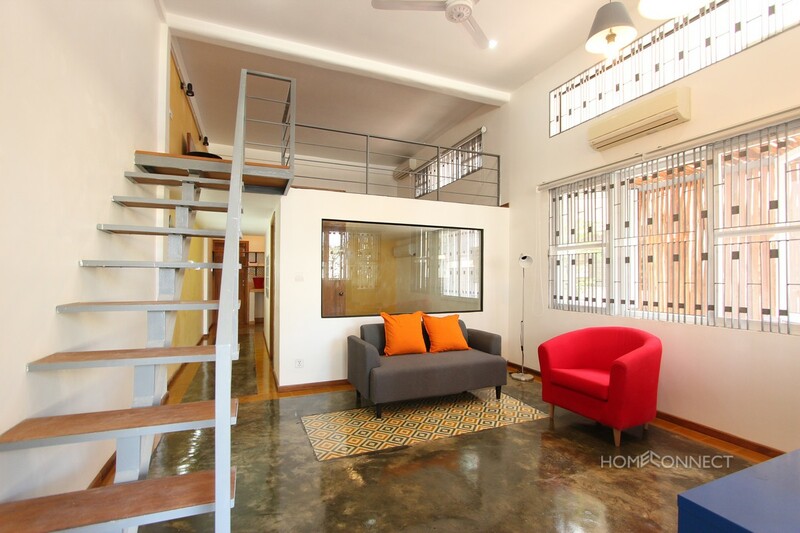 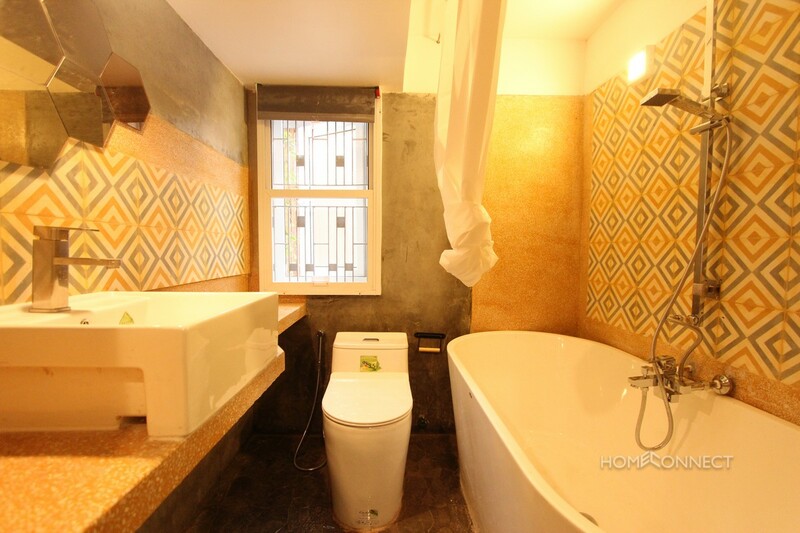 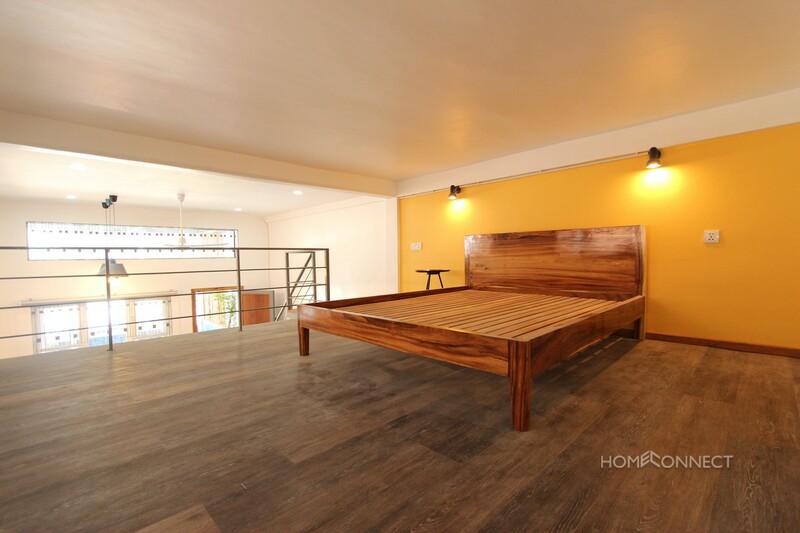 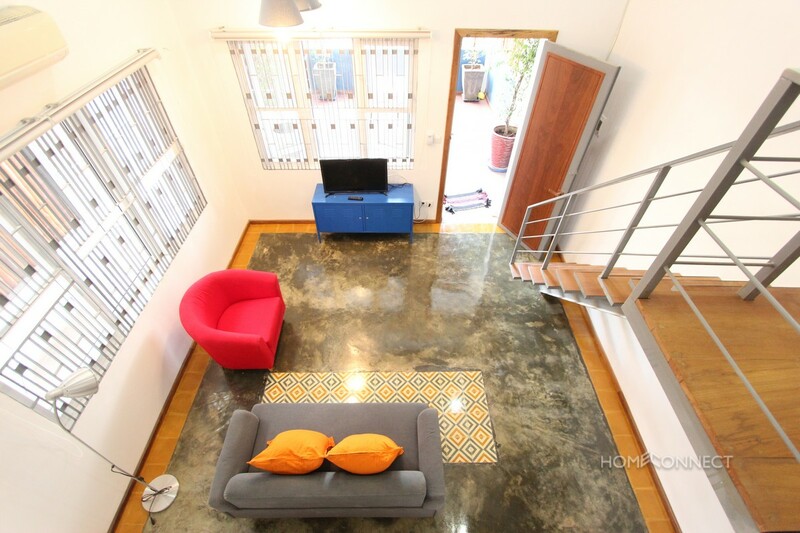 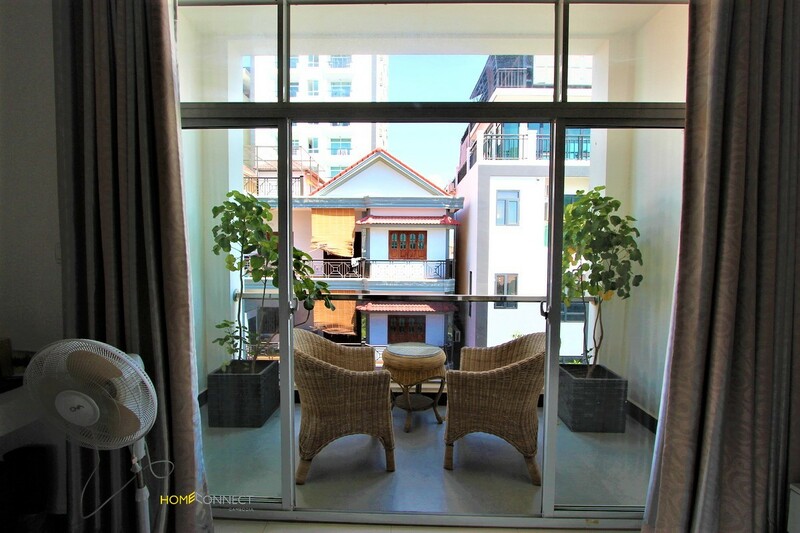 This modern contemporary designed two bedroom apartment for rent is located in the popular BKK3 district of Phnom Penh. 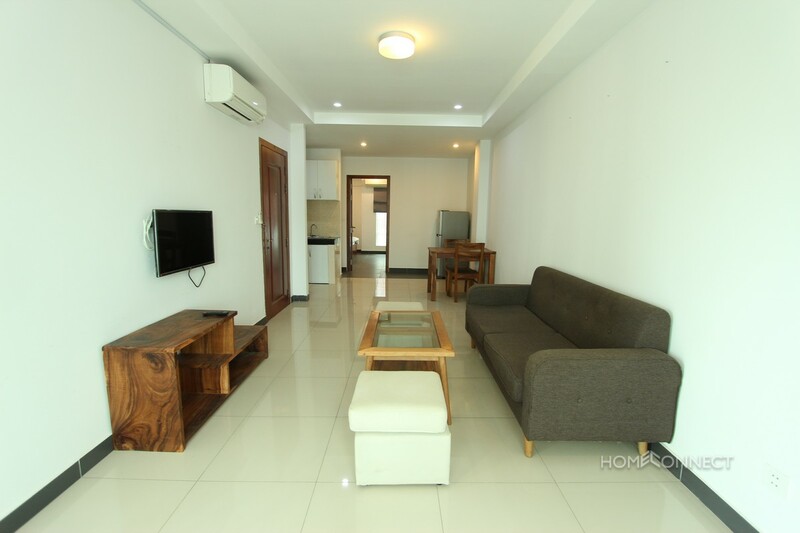 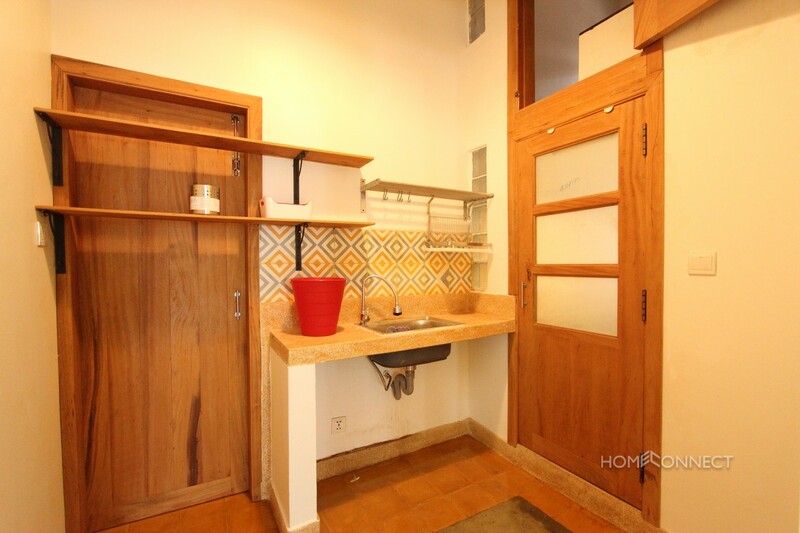 The apartment is bright and airy and comes with two bedrooms and one bathroom. 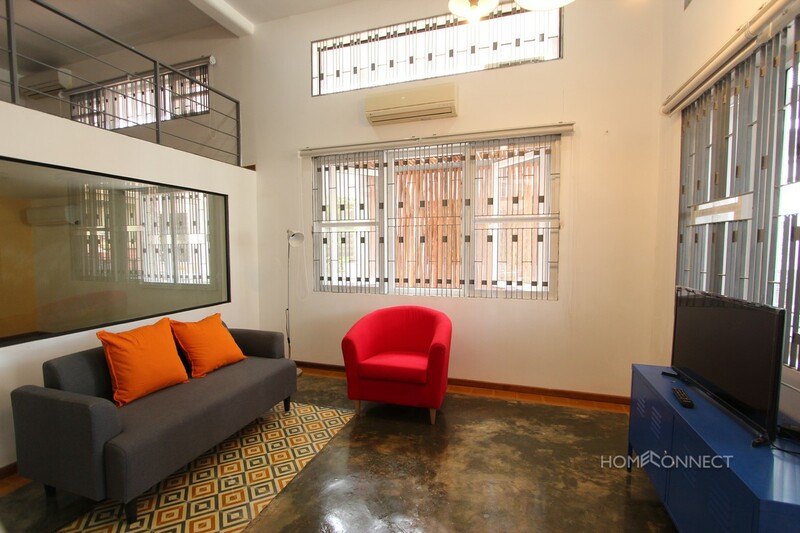 The interior is finished is a western modern style with matching furniture. 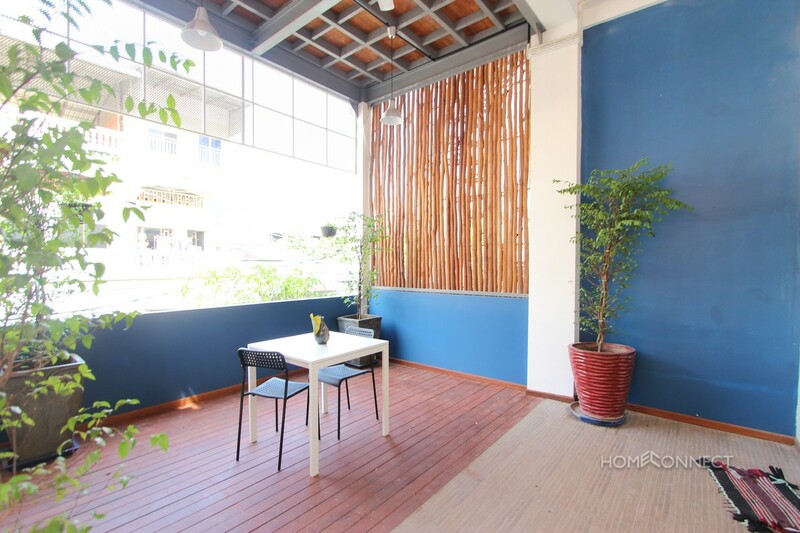 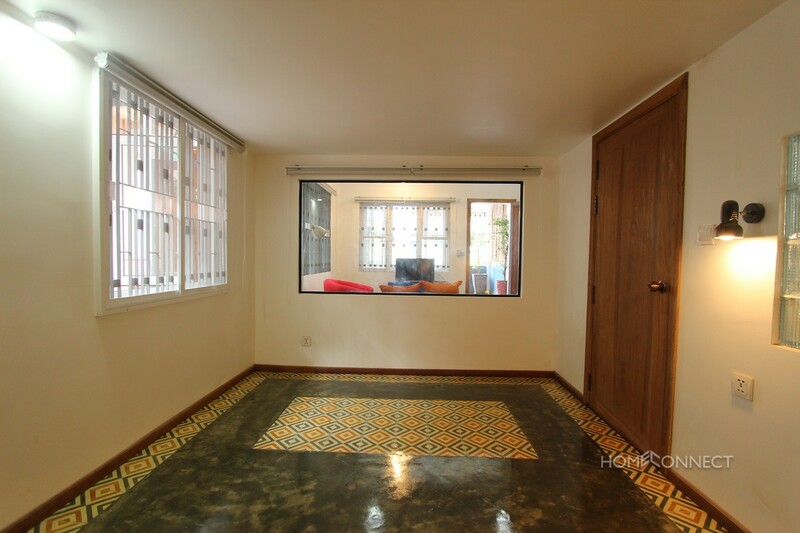 The unit has a good sized private balcony capable of housing a table and chairs. 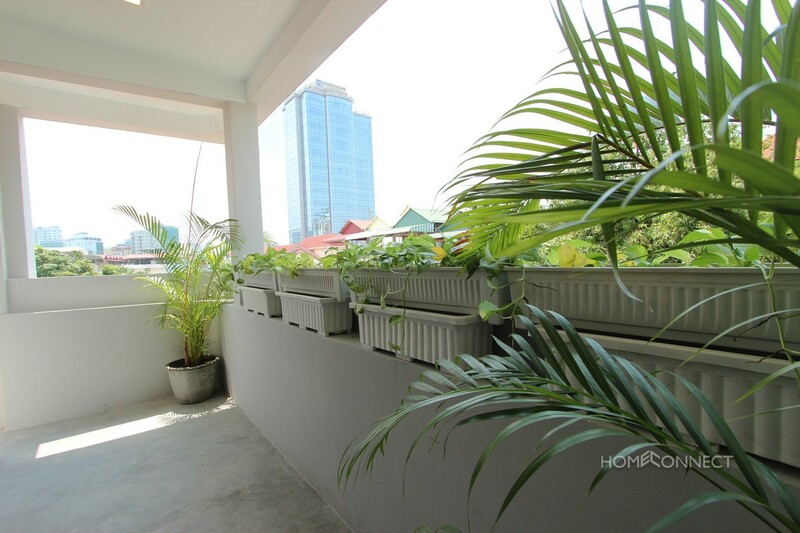 There is secure parking for moto’s.